car charger Nonda ZUS ZUS Smart Car Charger NONDA is hitting us with their ZUS Smart Car Charger and it's awesome! NONDA is hitting us with their ZUS Smart Car Charger and it's awesome! 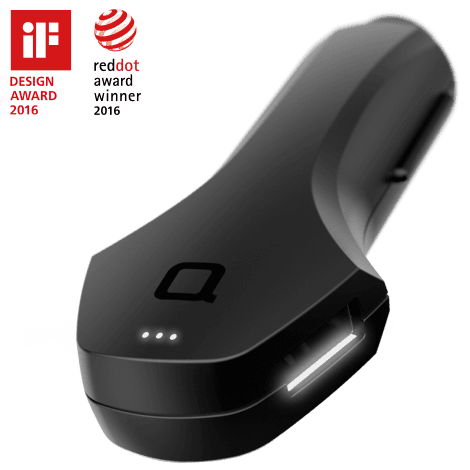 Not only is ZUS the first smart car charger, it also offers a unique combination of several other benefits that no other cell phone accessory on the market provides to consumers. Charge two high wattage devices at their swiftest speeds, 2X faster than average car chargers. Whenever you park your car, ZUS will save your car’s location automatically. To find your car, open the ZUS app and be guided back to your car, however, it does not support multi-storey and underground parking lot. NONDA included an alarm concept where you can set the amount of time for the parking meter for which you will be advised when the time is almost up. Since ZUS stands for something that's strong, reliable and effective, ZUS is the only car charger to meet US military MIL-STD-810G high-temperature standard. Built with the best materials, ZUS is crafted to withstand the extremely hot weather. NONDA offers this at a low cost for $29.99 US.